Sunwing Industries Ltd. has been leading the industry with innovative, high quality artificial hedges and plants. Our common goal is manufacturing the most durable, long-lasting, and realistic hedges to meet the market demand. As a factory, we welcome any types of clients, no matter you are a manufacturer, brand enterprise, distributor, wholeseller, retailers, project planner or designer, etc., you will find business opportunity here. 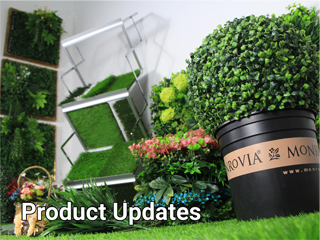 We make the largest range of artificial hedges including artificial boxwood hedges, green walls, vertical garden and artificial topiary trees and balls, with high quality you can trust: UV Treated & Tested and Earth Friendly. 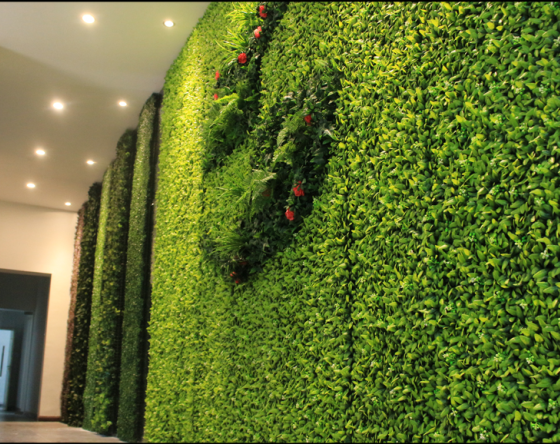 All artificial hedges are designed to perfectly attach to any wall or surface, very perfect for homes and businesses. Many works of arts can be realized by SUNWING artificial hedges. Besides production and marketing, we also provide design solution drafted by professional designer. 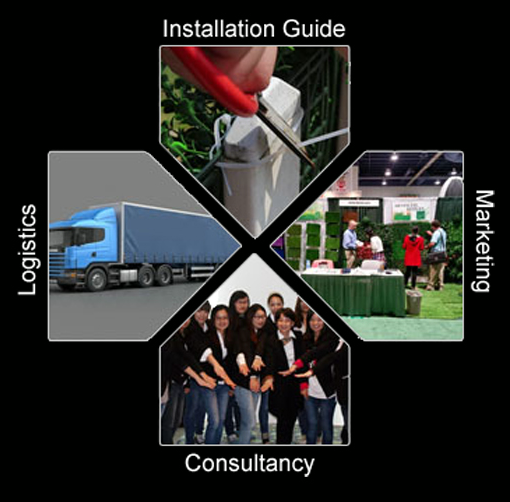 1) International Standard artificial hedge & plants manufacturer in compliance with ISO9001， ISO14001, and SGS Certification. 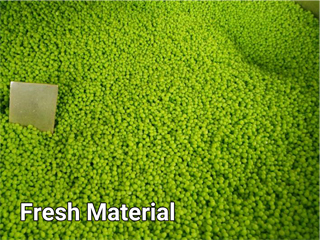 2) Premium imported eco-friendly materials are used for production. 3) Periodical catalog update, and personalized customized products design. 4) High Reputation comes from distributors covering more than 50+ countries & areas as well as $550, 000 regular monthly sales. Sunwing has over ten years developing experience in artificial hedges, artificial plants and artificial vertical garden area. Our customers have covered over 50 countries all over the world. 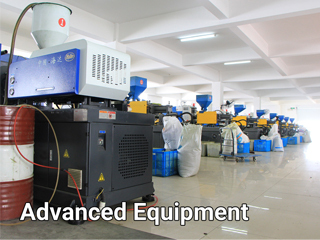 As a mature enterprise, we devote ourselves into products development, quality improvement & update to meet market and our clients' demand. As one business unit, SUNWING does much more than business, we are also a social orgnization, we support equal employment, no discrimination against disabled persons; we also concern social problems and do what we can for society improvement and development, our company have special charity fund and join in different charity activities. SUNWING sincerely hope you join us and let us grow up together. SUNWING is always on the way of creating something new and better. With the development of 10 years, Sunwing achieves great breakthrough. 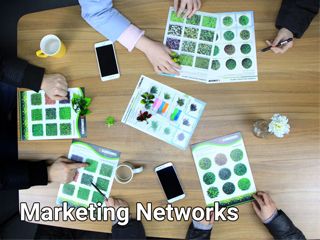 For marketing, we have a large and complete layout of online networks like Google, Yahoo, Alibaba, Ebay, Amazon, Aliexpress,Social Media,etc., we have oversea warehouse for quick shipping of small quantity and sample orders. Besides marketing, we develop new moulds and new products to keep our catalog updating continuously and be fresh in industry, till now, we have hundreds of types of moulds and products which has ranked top in industry. To make better artificial plants, your suggestion and ideas are always welcomed. Beyond manufacturing, to ensure its clients’ highest satisfaction, Sunwing Hedges only sell the products which stand out for their performance, appearance and their eco-friendly merits. We are serious about quality and pay extra to keep standards high. All our stock is quality inspected before leaving the warehouse. Leave message to us or download our product brochure below.